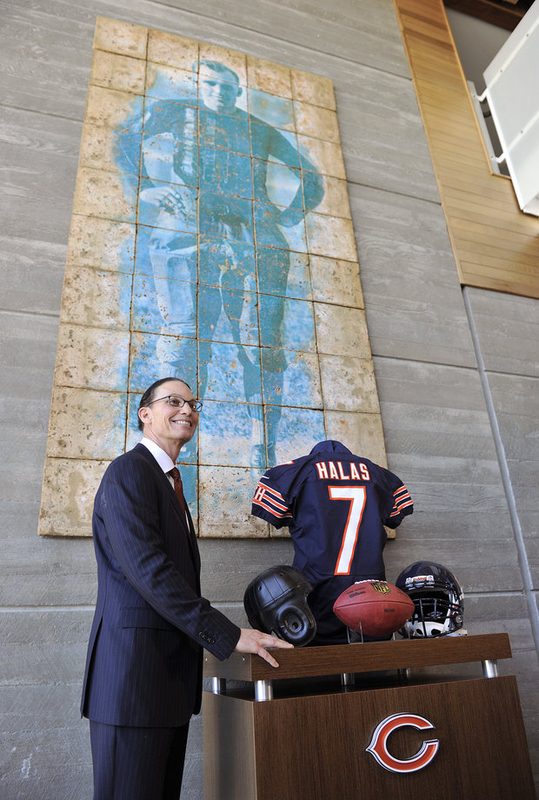 Now Bears coach Marc Trestman and his new staff have plenty of work ahead. Bears head coach Marc Trestman has assembled his staff. Now the work begins. Trestman&apos;s main buzz word is teaching. Like a newly-assembled band, some of these coaches have worked together before, but others are still trying to blend their talents. A wide receiver coach is the only vacancy. Since the majority of staff has been together just a few weeks, getting the play book, not evaluating players, has been the focus. Quarterback coach Matt Cavanaugh briefly spoke of his main pupil, Jay Cutler. Explaining why he has not yet evaluated the Bears&apos; quarterback, Cavanaugh said, "It’s not fair not to get to know the person, not to get to work with him personally and base everything from film." But Cavanaugh has worked with Trestman in the past, and said they are on the same page with most of the offensive schemes. Defensive coordinator Mel Tucker may have the most difficult job ahead. But he&apos;s confident that once players see the plan they will be on the same page. Tucker also stated there are no plans to change the Bears defense from a 4-3 to a 3-4. Offensive coordinator/offensive line coach Aaron Kromer has a tough job ahead. He wants “five guys that can play together with a couple of back-ups” on the line. There were no specifics about the players he has to work with from the present roster, but the new coach said he will work them out to find their attributes. As a whole, they&apos;ll use an attacking style offense with multiple formations and quick passing. Kromer likes to use the tight end in this offense. Of course, they need to find one first to make it work. . . . Meanwhile, former Bear Chris Harris is starting his transition from the playing field to coaching staff. Trestman was impressed that Harris was willing to start at the bottom rung in defensive quality control. He will be spending plenty of time at a computer rather than hitting a receiver. There is still no clear picture of Brian Urlacher’s status; he&apos;s talked with Trestman but that&apos;s the extent of it. Next up: In a few days, the Bears staff will travel to Indianapolis for the NFL scouting combine. There&apos;s still a lot of work to do in the weeks and months to come.